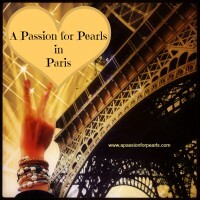 You are here: Home / Freshwater pearls / Put on your Pearls, Girls! 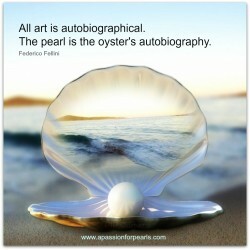 A you a Pearl Girl? There’s been so much emphasis on ‘bling’ the past few years and now I sense a return to manners and classy style. 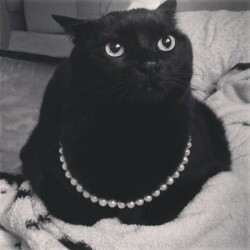 And what better way to demonstrate this than pearls? 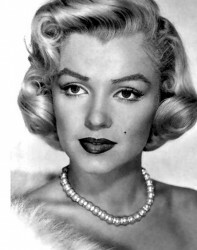 Pearls are the very antithesis of bling: subtle and understated, and so flattering to the complexion. Pearls have undergone a rise in popularity after the launch of the movie, The Great Gatsby and Fashion labels like Chanel and Thakoon featuring them in their 2014 collections. Pearl Farms in China now produce some truly stunning freshwater pearls in a huge variety of sizes, shapes and colours, and there is the steady production of classic South Sea, Tahitian and Akoya pearls elsewhere. Nearly all pearls now available are cultured pearls. The majority of pearls are grown in China, where some stunningly lustrous and huge pearls as well as perfect whites grow in freshwater mussels. Most people think of 8mm round white pearls when they think of pearls; the sort of necklace that parents give you on your 21st birthday or might remind you of your grandmother. Not so any more! Pearls can be found is so many amazing designs now! Big 15mm round pearls, dripping in luscious lustrous nacre in natural shades of lavender, pink, peach, apricot and white. There are pearls with wrinkled skin and patches of colour like someone has applied gold leaf to them. There are perfect round pearls with lustre so bright that the reflection is stunning. Chinese pearl farm skills have grown exponentially, with the quality of the pearls beyond anything contemplated only a few years ago. Highly skilled Japanese entrepreneur, Mikimoto, developed the first commercial pearl farms in the 1930s and founded the firm which still bears his name and which is synonymous with Mikimoto Pearls. The two other classic types of pearl are Tahitian black pearls, which aren’t black and which aren’t from Tahiti (they tend to be dark green and are mainly from French Polynesia). These pearls range from dark green, through shades of green, aubergines, purples, chocolate browns, to startling blues and come from the Black Oyster. And then the most expensive pearls of all tend to be the South Sea pearls from Australia (think of Pas Paley Pearls) and Thailand, in shades from deep gold to white. Then there is A Passion for Pearls where you will find beautiful freshwater cultured pearls in classic designs as well as fun and edgy pearl necklaces, bracelets and earrings designed with leather and pearls to suit all tastes! The top tip for choosing pearls is not to focus on what will match an outfit. The pearls that you will love the most will be the pearls that sing out when placed against your skin. For pale skins often lavender shades look best. For darker skin light peach shades and white look amazing because of the contrast while blondes look great with black pearls or pale pinkish pearls that are so delicate on their skin. 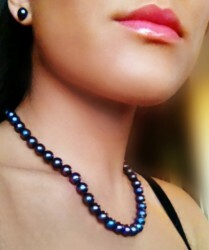 Diamonds might be a girl’s best friend; I believe women of substance wear pearls! http://apassionforpearls.com/wp-content/uploads/2013/06/AP4P-5-ANGELINA-JOLIE.jpg 404 353 Carmel http://apassionforpearls.com/wp-content/uploads/2013/10/pplogo1.png Carmel2014-02-18 17:38:152014-02-18 17:38:15Put on your Pearls, Girls!